This is Peru, one of the few countries in the world with such diverse ecosystems and places. 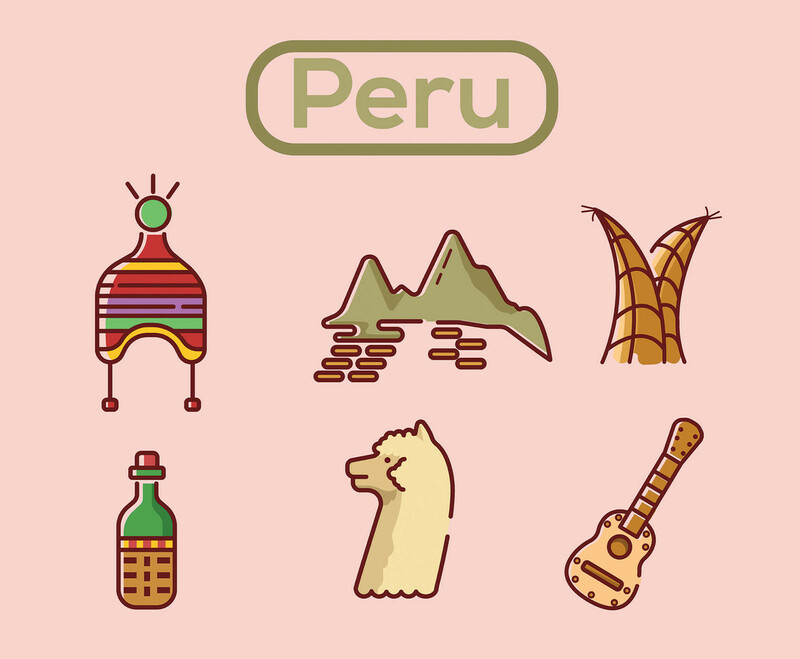 Here are six icons related to Peru portrayed in a pink background. I hope it's useful for your design projects.